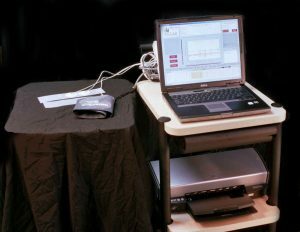 Autonomic nervous system monitoring may be indicated for individuals with cardiac, diabetic, certain neurological issues, and other medical conditions. If you're interested in learning the most up-to-date information on cardiac, neurological, and diabetic issues, visit one or more of the websites below. Feedback from our viewers is most appreciative and always welcome. 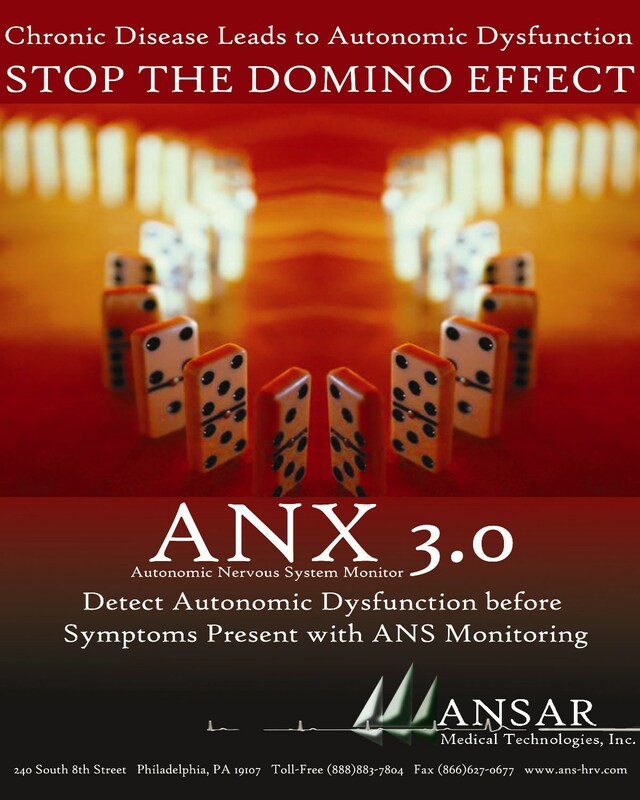 If you know of a website that offers information related to autonomic nervous system testing, drop us a line at webmaster@ans-hrv.com, and tell us about it. Visit the AHA's site for helpful information on heart attacks and strokes, risk assessment, as well as general reference, family health, and advocacy. Visit the American Academy of Neurology's website to learn more about the Academy, education, publications, and clinical & practice information. Visit the American Association of Clinical Endocrinologists website and find out about AACE, services, practice guidelines, and education. At the American Diabetes Association website, individuals can learn more about diabetes & treatments tailored to maintaining good health. Click HERE to enter the ANSAR Medical Technologies remote assistance portal. 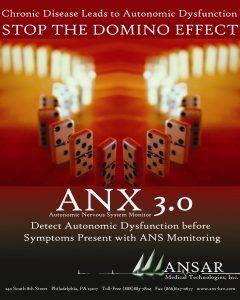 Please only use if instructed to do so by an ANSAR support technician. 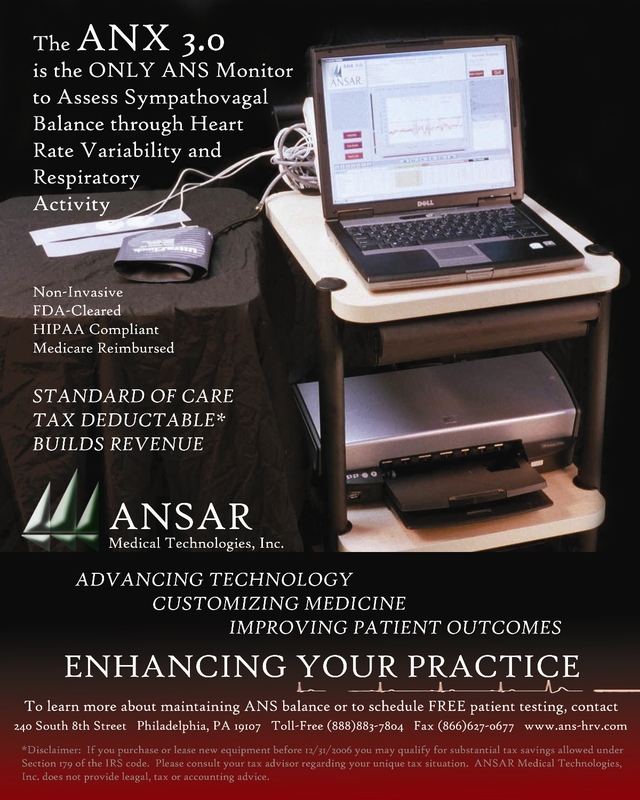 Copyrght © 2019 ANSAR Medical Technologies, Inc. All rights reserved.